This week's mani looks a little sumptin' like this. 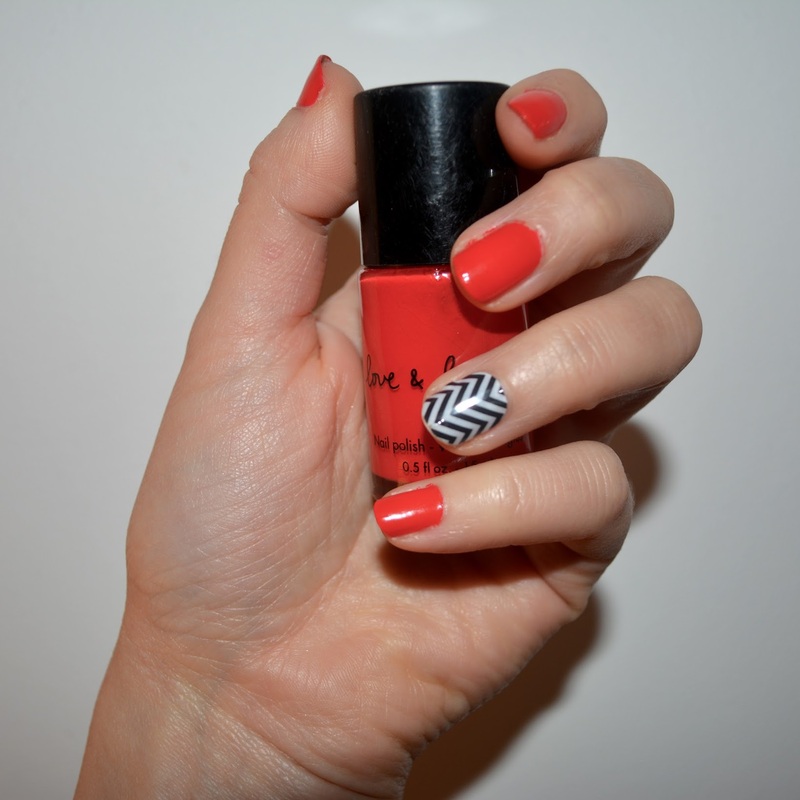 It was super easy thanks to this chevron patterned nail wrap and a few coats of red polish. Got that one nail pizazz to add an extra punch to my at-home manicure! One nail, that reminds me of a joke from Anjelah Johnson.